Two decades ago, Michael Gurian’s best-selling book, The Wonder of Boys, created a stir. The push for women’s rights assumed the developmental needs of both genders were the same. Going against this assumption, he made a convincing case that while boys and girls should have equal rights, their brains are structured differently. So boys and girls need different approaches to mentoring and education. He even suggested there are significant advantages to all-boy and all-girl schools. 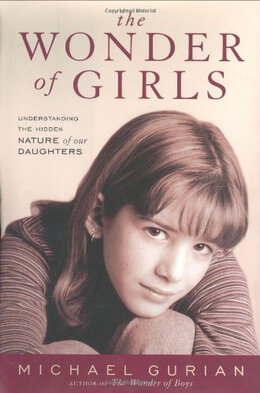 Six years later, he published The Wonder of Girls (2002) a brain-based approach to understanding the behavior of girls and their special needs for parenting. The father of two young women, this work has the advantage of his personal experience. Indeed, the book has many stories and illustrations from his daughters’ growing-up years. The most profound difference between male and female brains is the corpus callosum, the dense band of connector neurons between the left and right sides of the cortex. In female brains this area is much larger, enabling a more fluent cross-communication between the two hemispheres. In plain English, this means that girls find it easier than boys to express their feelings. This leads to a greater interest in and understanding of the feelings of others, which in turn causes them to be more social than boys. Their ability to communicate about their experiences makes it easier for them to excel at language arts. So girls generally learn to read earlier than boys, a skill that – along with superior relationship skills – translates to earlier academic success. Gurian’s insight into the mental development of girls allows him to help parents better understand what’s happening at each stage of growing up. Girls behave differently than boys, and so their typical crises are different, too. From this science-based perspective, the author presents many practical examples of how best to support a young woman’s self-esteem and emotional maturity. We credit the French for the phrase, “Vive la difference!” This is a male-oriented sentiment referring to female attractiveness; but for Michael Gurian la difference has to do with the brain, behavior and unique needs for parenting and education. We should persist in our demand for equal opportunity for youth development and career advancement; but cultural politics aside, typical female behavior is different from typical male behavior. When you read The Wonder of Girls you’ll understand why and how important it is to give girls the kind of nurturing they need.